After a little quiet time in our room where we had to try very hard to keep from falling asleep we went down to have lunch so we could all enjoy an afternoon nap. 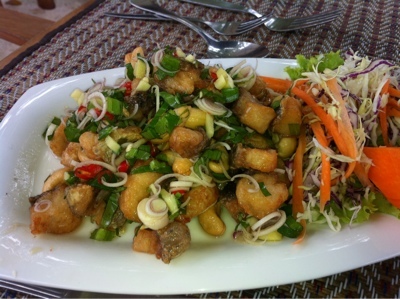 Lunch was lovely with a fried fish salad with cashews and a lovely spicy dressing. 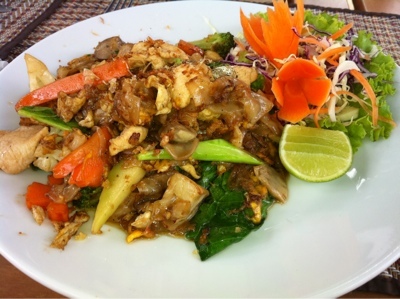 Tina wanted noodles and ordered the Pad See Euw wide flat rice noodles which although nice were not as good as those from Rimtang. We also can't seem to help ourselves ordering Mojitos. We don't try very hard though. 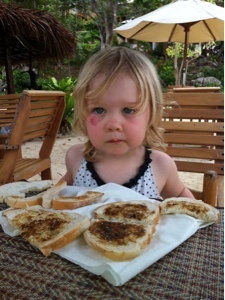 We had some bread from the supermarket in Phuket so Charlie had vegemite and peanut butter sandwiches. 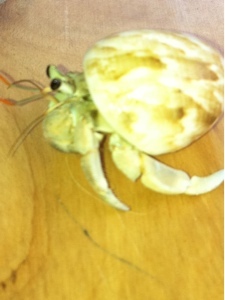 One of the waiters found Charlie a cute little hermit crab to play with.